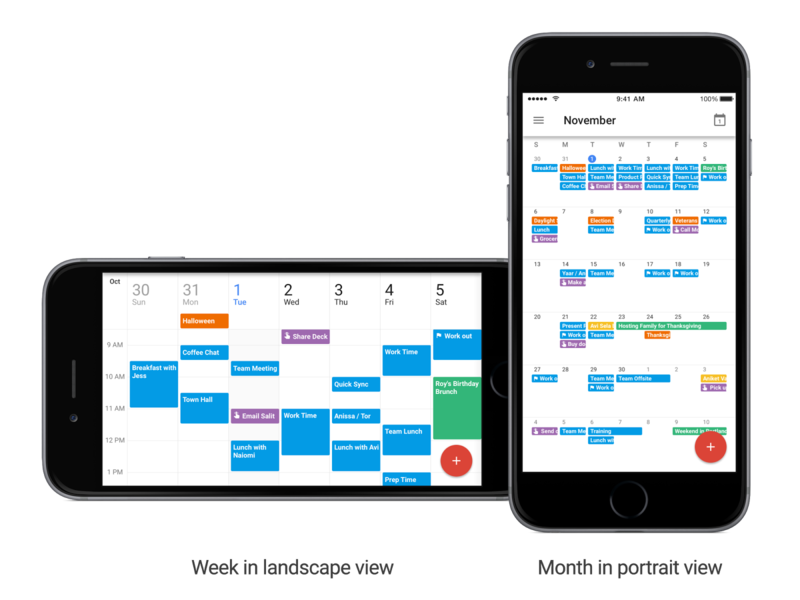 Today we're making some changes to the Gmail and Google Calendar apps on iOS. 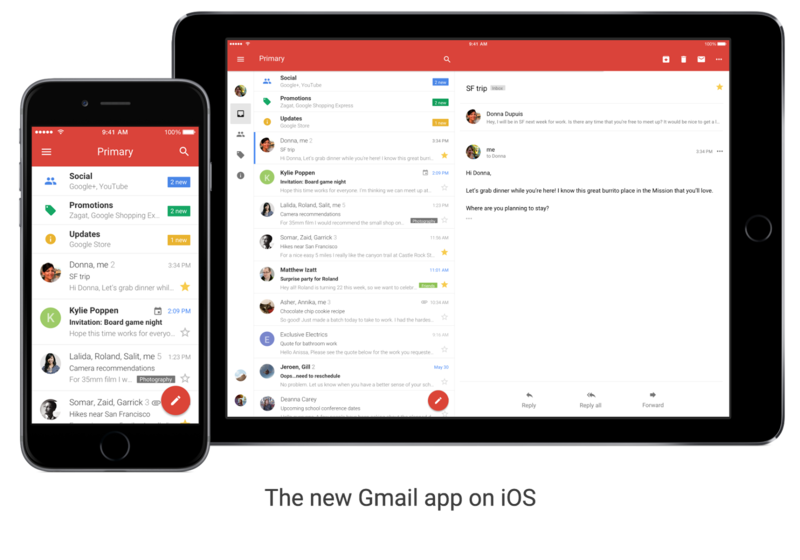 When you get the next Gmail iOS app update, you'll notice some exciting changes: The biggest overhaul of the app in nearly four years. It's the Gmail you know and love, with a fresh new look, sleeker transitions and some highly-requested features. It's a lot faster, too. With the new app, getting things done on the go is a lot easier — whether you're trying to find a message your colleague sent you last month, or trying to get through your work inbox on a Monday morning. Spotlight Search support, so you can search for events, Reminders and Goals in Apple's Spotlight Search and find what you're looking for faster.